I have spent a lot of time over the past few months thinking about the future. I passed the two year mark of starting my own business. I just turned forty years old. Those alone are plenty of cause to get you thinking about things on a different time scale. When you add to that my annual tradition of looking backward over the past year in order to produce my “Non-Obvious Trend Report” … you can see how I end up spending a lot of time focused on the future. The annual result of this obsession has always been the Non-Obvious Trend Report. This year I’m doing something different. 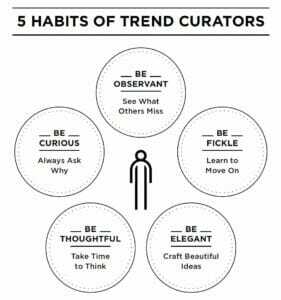 Rather than only sharing the trends that will shape business and consumer behavior in the coming year,, I’m also taking people behind the exact process I have developed to find, curate, describe and research these trends. 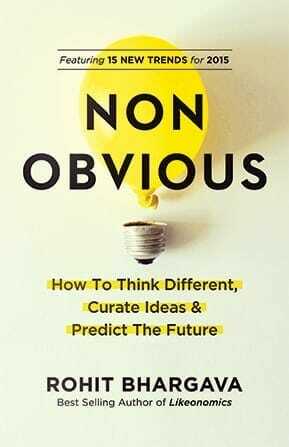 The result is my new book Non-Obvious: How to Think Different, Curate Ideas & Predict the Future. It is launching as an ebook this week and in Hardcover edition in March. The journey to publishing the book has been interesting. While writing over the past several months, I have read all kinds of predictions about the world we will soon be living in. Some forecast a “demographic time bomb” for aging countries like Japan. Others argue against or argue for the future of artificial intelligence. These are the sorts of debates we are supposed to have about the future. Heavy predictive arguments filled with anticipation or fear. The flip side are the dozens of quick burst trend guesses produced as blog posts near the end of the year – based on solitary examples of interesting things. These are usually presented in hastily written blog posts offering neatly compiled lists of the “5 Social Media Trends To Watch In 2015.” They are barely researched, derived from surface observation and are usually completely obvious. Through my own necessity several years ago, I created a different approach to predicting the future by curating trends. I believe that a trend is a unique curated observation of the accelerating present. It is the definition I have begun each of my Trend Reports with for the past four years. And if you are a longtime reader of my blog – you may have been wondering what has taken so long with this year’s report? In 2015, I set out to do something different. Instead of just sharing 15 trends this year, I wanted to take people behind the scenes into the process I have used for years to produce my reports. So this week I am finally releasing a book about the trends and the process that I have been planning to write for years. Non-Obvious is broken into three parts. The first takes you through understanding what are trends (and what aren’t), as well as the process I use for curating trends that I call the “Haystack Method.” Finally, you’ll also learn the five critical habits that anyone can develop in order to become better at seeing trends. Part 2 is the full report of 15 trends for 2015. 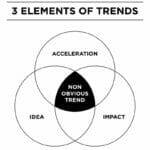 Then in Part 3, I built an action guide for putting trends to work – including step by step instructions to use four different types of Trend Workshops for your own business or clients. I know also that any trend predictions are only as good as their performance – so I’ve added an extensive Appendices section featuring every one of my 60+ trends from previous reports along with a honest “longevity rating” for how accurate each one was and why it matters (or doesn’t) today. For me, the book has been an exercise in rethinking how I research and quantify trends as well as a chance to take readers inside an approach that is simple enough for anyone to use and put work in their businesses. I am really excited to finally be able to share it, and I hope you will take advantage either by ordering the ebook with the link below – or preordering a copy of the Hardcover edition which will be out in mid March! To take you further into the trends themselves, look for additional articles on this blog later this week featuring excerpts, descriptions and examples for each of them. In the meantime, please do check out an early ebook edition and let me know what you think directly either about the trends themselves or the process of uncovering them. A big part of writing Non-Obvious was about my own journey to reach that same aspiration – and my ambition to help you do the same.